max grinding length 22" max grinding diameter 8"
Universal Grinder as set up here for O.D. grinding is ideal for precision machined parts. Fast, economic and reliable results with a quick turnround. Cylinder taper and profiling operations are also possible in a single operation. 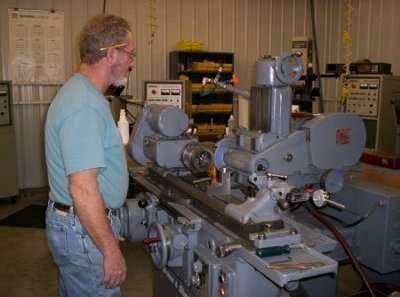 Doutt Tool has over thirty years of experience in every type of grinding technique and our training and toolmaking skills keep us ahead of the competition. Doutt Tool expertise working to your advantage.